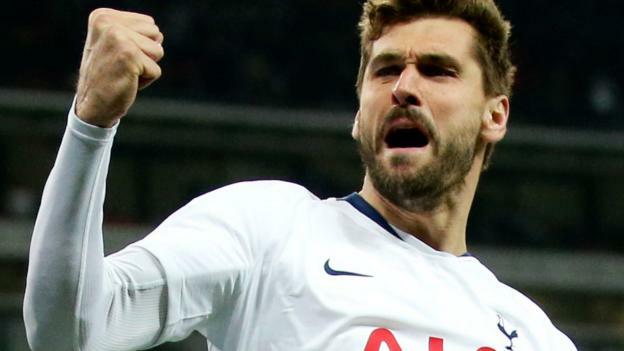 Manager Mauricio Pochettino said Tottenham “still have a lot of work to do” after beating Bundesliga leaders Borussia Dortmund 3-0 in the Champions League last-16 first leg. “3-0 is a very good result but at the same time I think we need to think that we need to finish the job,” he said. The second leg is on 5 March at Westfalenstadion in Germany. “Always when we play this competition and against a good side like Dortmund it is very difficult,” Pochettino added. The Argentine appeared to make some tactical changes at half-time and the Spurs boss said he “wanted to make the best decision” to turn the performance around. “We spoke about our defensive positions and changed things a little. Sometimes it works and sometimes it doesn’t,” he said.